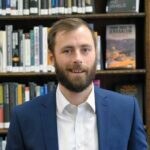 Tim Eaton is a Research Fellow with Chatham House’s MENA Programme. His research focuses on the political economy of the Libyan conflict. Earlier this year he authored a report on the development of Libya’s war economy which illustrates how economic activities have become increasingly connected to violence. Previously, he worked for BBC Media Action, the BBC’s international development charity. Tim worked across the Middle East on projects in Iraq, Egypt, Tunisia and Libya. He is a regular contributor to the media, having written for The Washington Post, BBC, CNN and War on the Rocks, among others.